Brian offers successful companies skilled guidance for a multitude of complex intellectual property issues, including litigation in patent and other IP matters, licensing, monetization, freedom-to-operate, and validity analyses. Brian has substantial experience in helping clients avoid litigation through freedom-to-operate and validity analyses, and in optimizing those analyses within the business context of his clients. When litigation is necessary, Brian‘s experience includes developing trial strategies for patent infringement, copyright infringement, and trade secret misappropriation. 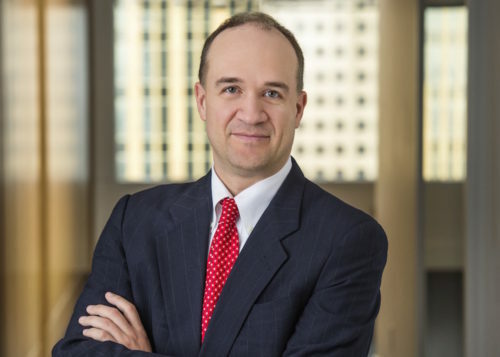 Brian also assists clients in building their patent asset portfolios by conducting due diligence investigations for investments and mergers and acquisitions, and advising clients on patent licensing and sales. Brian works with innovative companies in a variety of market sectors relating to medical devices, computer software and hardware, and agricultural businesses. Since 2009, Brian also has worked with Tara Norgard, another partner at Carlson Caspers, as the Receiver in the $190 million Trevor Cook Ponzi scheme, the second-largest fraud in Minnesota history; Carlson Caspers is working to repatriate assets from around the globe that were stolen from investor victims under the guise of an international investment program. Minnesota Super Lawyers recognized Brian as a Rising Star in 2008 and 2010-2014. Outside of work, Brian enjoys reading, trivia contests, and softball, and once appeared on Jeopardy. CFTC / SEC v. Trevor Cook et al. Fargo Elecs. Inc. v. Iris Ltd.
SEC v. Jason Bo-Alan Beckman et al.